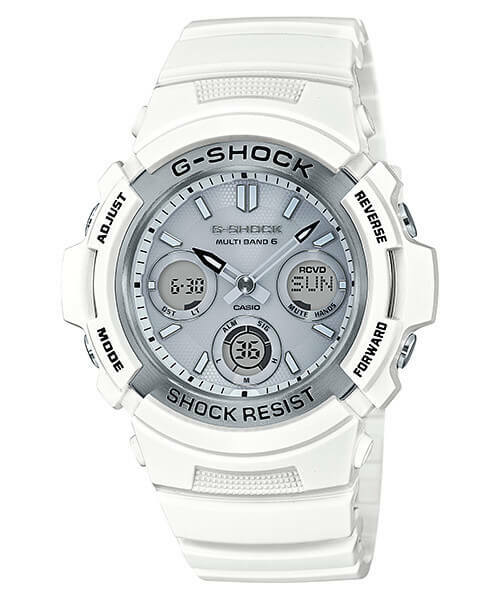 The G-Shock DW5600MW-7 is part of the upcoming Marine White Series for May, but it is already available at Macys.com in a rare instance of North America getting a new model before Japan. 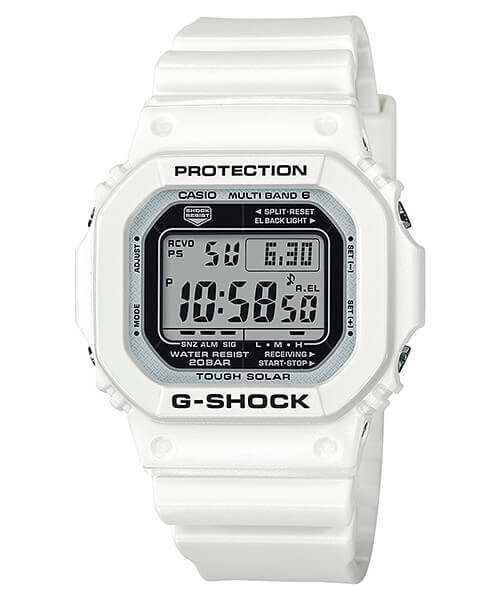 The DW5600MW-7 is based on the original square G-Shock design and features an EL backlight with afterglow, stopwatch, countdown timer, and alarm. 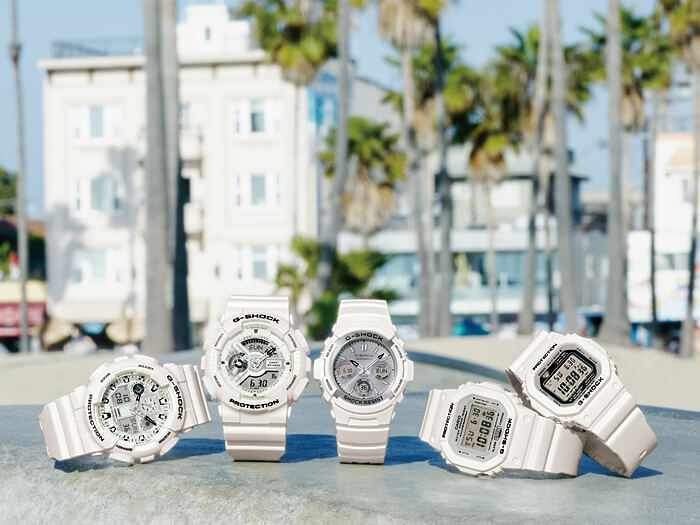 (Some of the functions listed on the product page at Macys.com are incorrect such as world time and 5 alarms.) 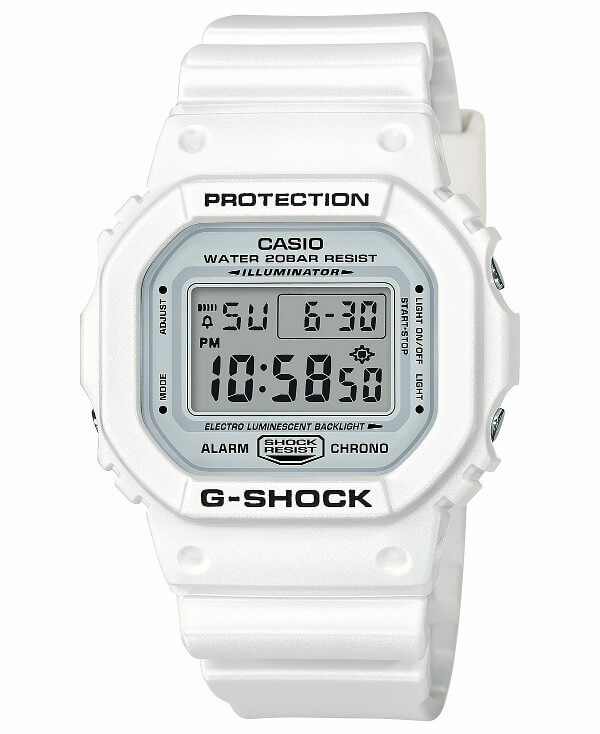 The DW5600MW-7 has a matte white exterior with black lettering and a neutral light gray face. 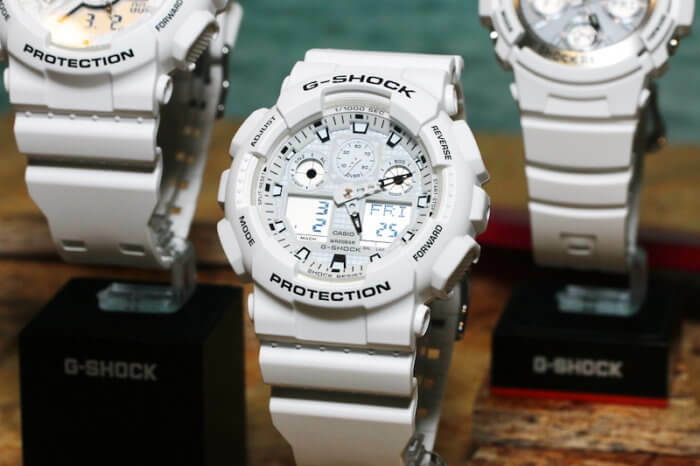 This simple white watch will complement summer outfits and is suitable for any outdoor activities with its legendary shock resistance and 200-meter water resistance. 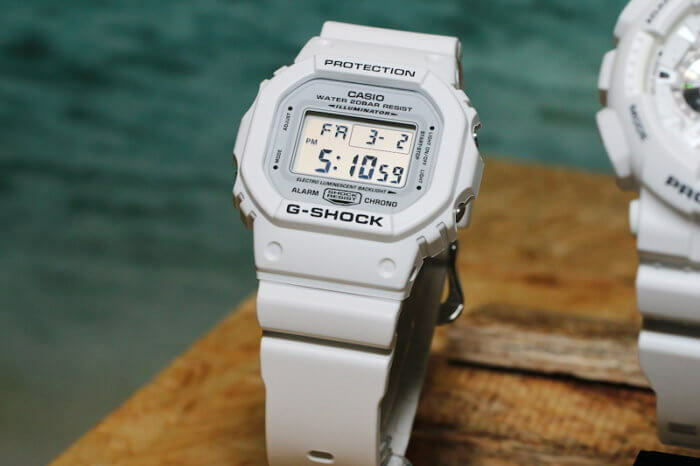 Along with the DW-5600MW-7JF there are four other models scheduled as part of the Marine White Series for Japan in May 2018. The analog-digital models have white hands with black tips and all models have standard LCD displays. 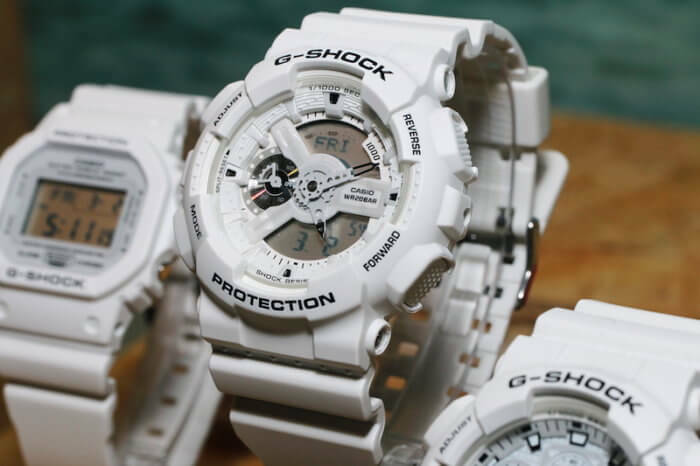 Update: The DW-5600MW-7, GA-100MW-7A, and GA-110MW-7A are also May 2018 releases in Asia. 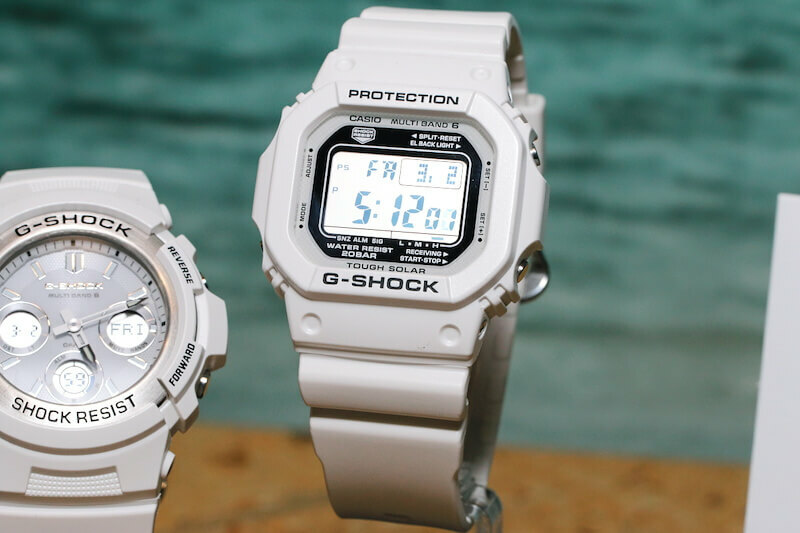 The AWG-M100SMW-7AJF and GW-M5601MW-7JF are Japan-only releases. 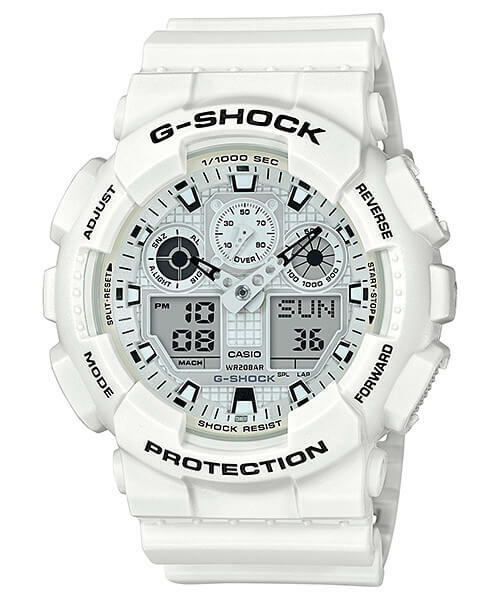 The AWG-M100SMW-7AJF is a mid-size analog-digital model with Tough Solar power and Multi-Band 6 radio timekeeping. The GA-100MW-7AJF is a large-case analog-digital model with a display that resembles an instrument panel. 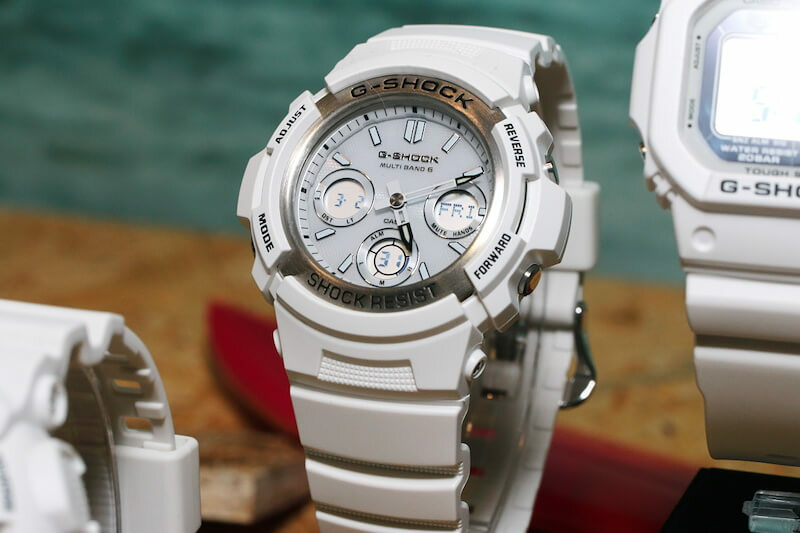 The GA-110MW-7AJF is a large-case analog-digital model with an industrial-style display. 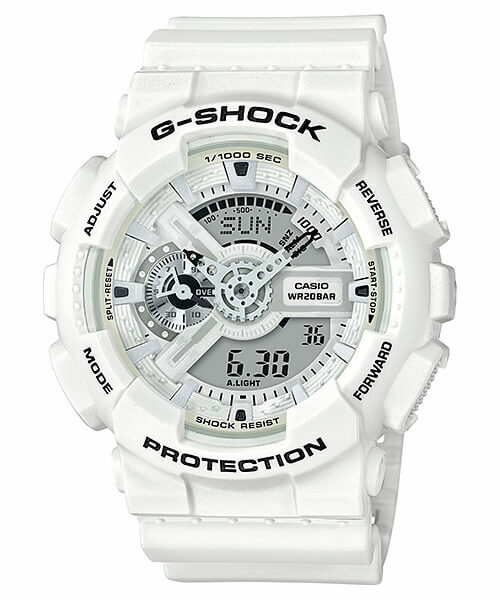 The GW-M5601MW-7JF is a classic square model with Tough Solar and Multi-Band 6 timekeeping.